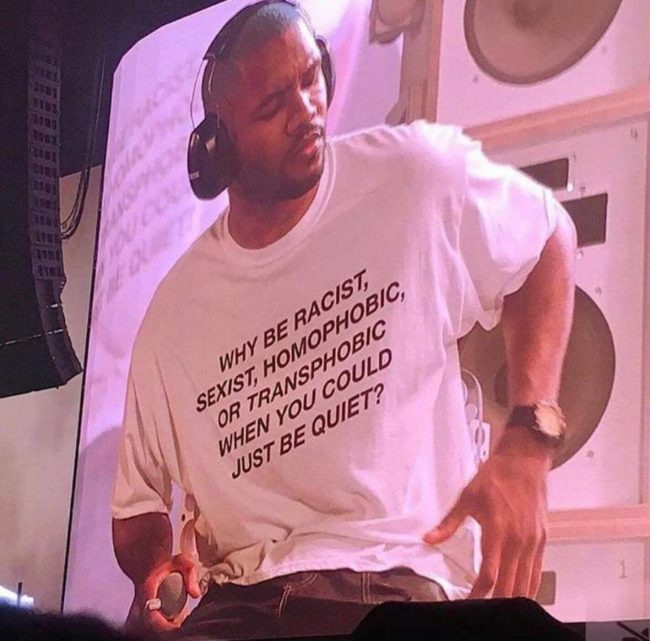 Out singer Frank Ocean has made a statement with a t-shirt worn as he performed at the Panorama Festival. The ‘Blond’ singer wore a t-shirt designed by out bisexual 18-year-old Afro-Latina entrepreneur Kayla Robinson. The $18.99 shirt was sold by Robinson through her Green Box Shop website.